Social media training for government: covering everything from content, social media law, responding to negative comments and tools to make your job easier. Who's this training for: communication officers, community engagement officers, customer service professionals and social media practitioners in government. You are a one-man/woman band, responsible for all the social media and you don't have the time or capacity to do it all. Social media was 'dumped on your lap' and now you have to worry about doing that on top of your other job duties. The social media updates are changing all the time that it becomes overwhelming - you want someone to tell you the news/updates that you should know. You are scared of falling behind. You want to make your Department look good online and you have all these great ideas....just need management to come onboard! Did you nod to one or all of them? I know first-hand your struggles AND opportunities because I've worked in Government and I am the lead social media trainer for Local Government NSW. Not only that, I've spoken at the biggest social media in Government event in the United States sharing ideas, strategies and insights to make your department's social presence stick. The key to increasing your Department’s social media presence, productivity and progress is upskilling staff - AKA YOU! Developing your social media skills will not only double your community engagement, but also reduce your need to outsource thus saving your Department money (which, let's be honest is super important in Government!). This full day training will give you the confidence to connect with your communities in strategic and innovative ways – making you and your Department standout from the pack. Improve your digital communication efforts with social media marketing whether you’re an experienced pro or brand new to social media. Connect social media strategies to the goals and mission of your department. Develop a communication plan that leverages strategic social media marketing. 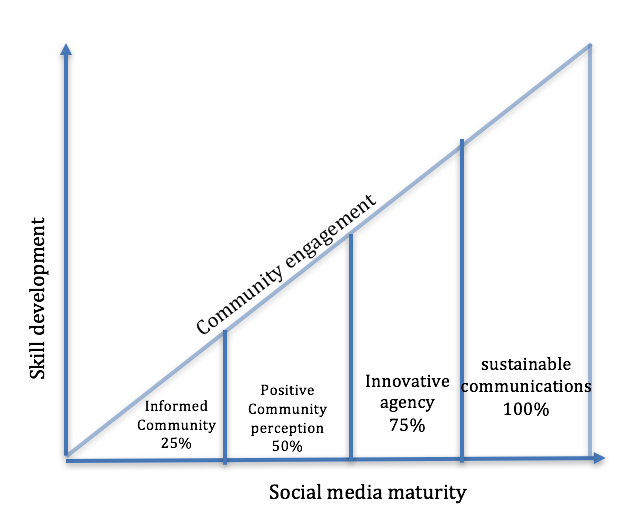 Create content that sticks with your community and improves your Department’s visibility. Decide on the best social media platform for you and how often you should post. Respond to negative comments in a risk-free way. How to evaluate the success of your social media marketing and how to report this to your Leadership Team. Strictly limited to 10 people to provide 1:1 time with each attendee. Having worked for Fairfield City Council and NSW Department of Justice, Janine understands first-hand the challenges government departments face with social media. Through her training and consulting, she hopes to empower government departments, so they can use social media to make a difference in their communities and innovate with purpose.